Kalyan, a quaint little suburb on the outskirts of Mumbai is an integral part of the city’s lifeline. Every day, lakhs of people take the daily commute from there to various parts of Central and South Mumbai to add to the city’s economy. While those people toil had every week, Mumbai residents throng into this tiny suburb, which is slowly turning into a city of its own, to explore the water parks and resorts. Since it’s not too far (an hour at the max by a fast train from Dadar), it’s also a great weekend getaway. Keeping that in mind, here are five resorts in the town and its surrounding areas. Once a plot of land for roses, Visawa resort eventually developed into one of the town’s most popular weekend getaways. Amenities include a gigantic rose garden, a swimming pool and an artificial waterfall, just to name a few. Visawa resort spans over 12 and a half acres near the beautiful landscapes of Saralgaon, overlooking the Sahayadri mountain range. Price: They don’t mention it on their website. Instead, you have to fill out a form with your particulars and they then contact you. Sargam Water Park and resort situated amidst natural surroundings is a fun-filled entertainment destination. 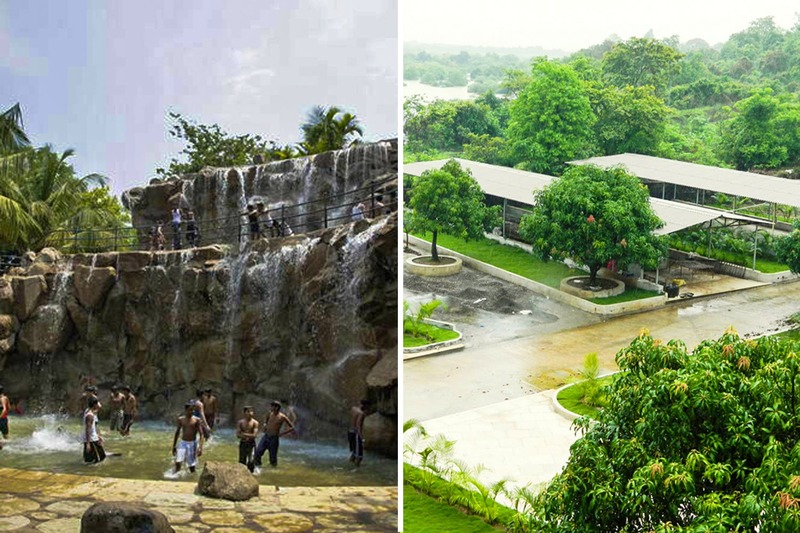 The park scenic beauty and water slides will allow one to forget the mad rush of the city and enjoy a perfect getaway. They also don’t charge for children under 3 years of age in case you have a day-long travel itinerary. A water park, which also doubles as an amusement park, Anand Sagar Resort is a family entertainment park that boasts of an exciting variety of water rides and slides. It also boasts of being a place where you can enjoy the thrills of their famed water park. Eleven kilometres from Bhiwandi-Kalyan junction on the Mumbai – Nashik Highway, Shangrila Resorts and Water Park is a spectacular place for those who yearn for moments of pure enjoyment with family and friends every now and then. They even stress on swimming safety for your toddler and are pleasant to interact with. River Winds Resort is a 38-room property located just next to Ulhas river about 8 km from Kalyan (W) and 3 km from Shahad (E). Spread over 2.5 acres with lush green gardens, the resort comprises of a river view restaurant and even swimming pool with slides.